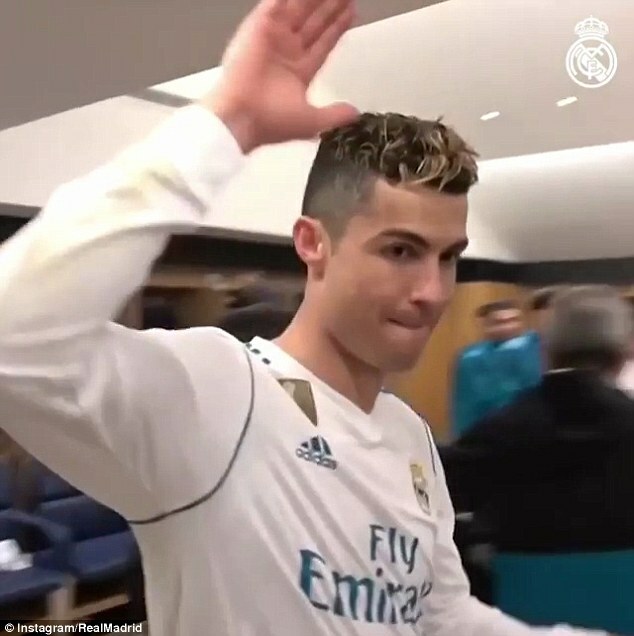 Real Madrid have given their fans a glimpse into how their star players celebrated their progression to the Champions League quarter-finals. 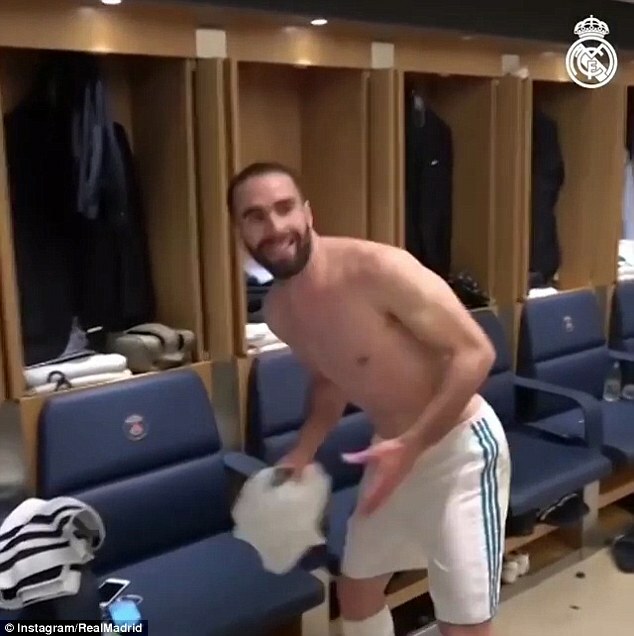 The club’s media team videoed their reaction in the Parc des Princes away dressing room moments after they eliminated European rivals Paris Saint-Germain thanks to a 2-1 win in the French capital. 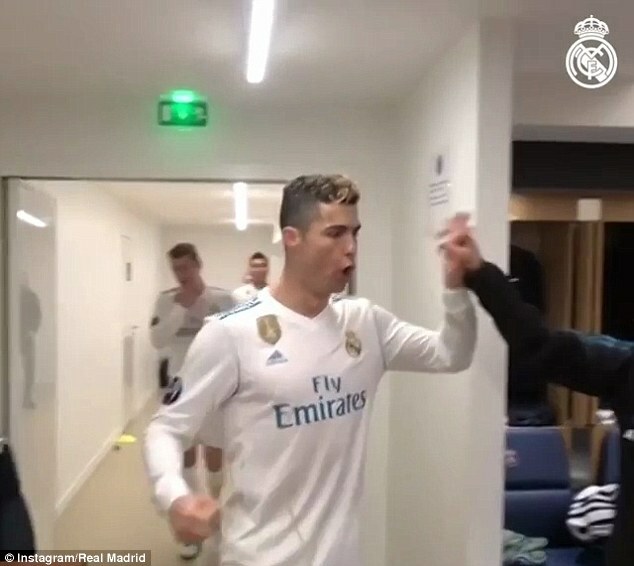 Cristiano Ronaldo, who scored the opening goal on Tuesday night, shouts as he makes his way into the dressing room before hugging and high-fiving members of Zinedine Zidane‘s coaching staff. 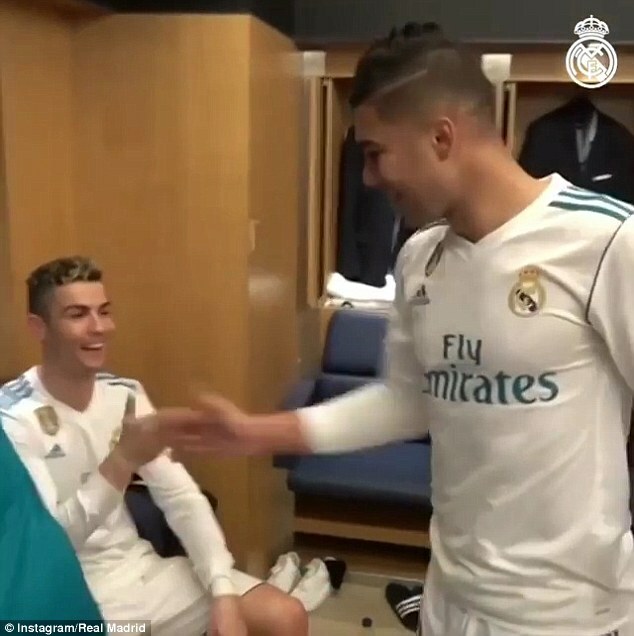 Ronaldo is also seen congratulating his team-mates with a special handshake as he takes a seat in his area of the changing room. The experienced Marcelo then does the rounds by embracing Real Madrid’s large team of staff and players before captain Sergio Ramos follows him in. 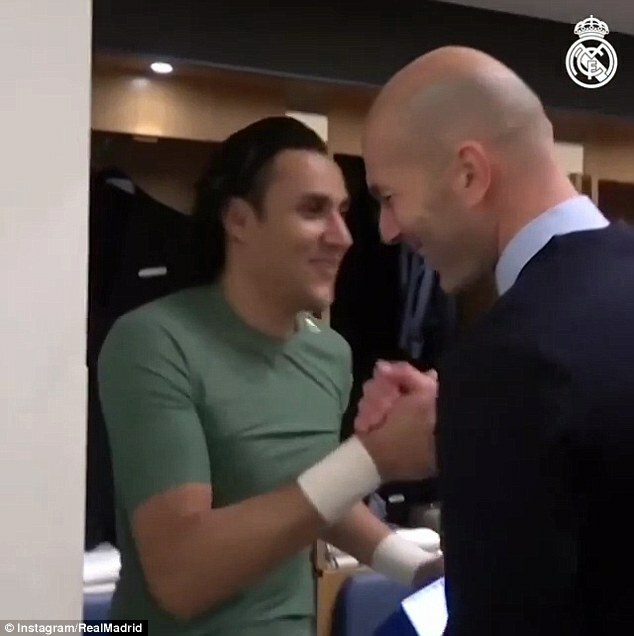 Manager Zinedine Zidane can be seen entering the dressing room in a second video posted by Real Madrid and he also embraces his team. The Frenchman hugs Ramos, keeper Keylor Navas before Marcelo embraces his manager and pats the former Real Madrid midfielder on the head. In the videos you can see the players’ club suits hanging from the pegs in the spacious away dressing room at the home of the French giants. Ham and bananas also appear to be on the menu after the game as a small spread is laid out on the table. Real Madrid progressed 5-2 on aggregate thanks to Tuesday’s win and their previous 3-1 win over PSG at the Santiago Bernabeu. The Champions League holders will find out their quarter-final fate next Friday when the draw takes place in Nyon. Real Madrid and Liverpool are the only tams through thus far as the remaining second legs take place this Wednesday and next week.